One of the underlying hallmarks of Malta Entities is their marked flexibility, which make them suitable for any use. All Maltese companies, must in terms of Article 69 of the Companies Act, specify the objects clause, specifying the purposes for which they are incorporated. The trading objects of the Company may be drafted as wide as possible, and it is possible to have a number of principal trading objects. to act and operate as a Retirement Fund with the meaning of the Special Funds (Regulation) Act. Likewise, companies intending to operate in the insurance sector also need to limit their objects to the particular business for which they seek authorisation. Companies pursuing licensable activities such as the business of banking, Remote Gaming or any activity under the Investment Services Act or Financial Institutions Act must clearly indicate this object in the Memorandum and Articles of association. Other than the aforesaid limitations, a Maltese company may change its trading objects easily by means of an extraordinary resolution of the shareholders, a matter which may be expedited within two (2) working days and which entails no registry fees payable to the Maltese registry of companies. The flexible legislation also allows a Maltese registered company to pursue the function of both a trading and Holding Company simultaneously, thereby reaping full benefits of the income tax incentives such as the Participation Holding / Exemption, as well as the attractive tax credits allowed to shareholders. It is also possible to re-domiciliate a company in and from Malta, as well as to convert a private company into a public one and vice-versa. The most common activities of Malta Legal Entities, which are currently being used, are set out below. The list of such activities is not exhaustive. Note: The resulting Malta profits or funds can either be accumulated in Malta to be reinvested within the group or be repatriated to any jurisdiction – in any form dividend, interest or royalty using income transformation methods – without any additional Malta tax or exchange restriction. Malta Companies may provide services such as sales promotion, accounting function, provision of labour – executive staff, consulting, market research, commission agency, intermediation, client introduction and many others. They may employ expatriate staff, who benefit from double tax treaty provisions, by paying tax and social insurance in Malta at low rates, thus avoiding the high tax rates in their home country. In this way, profits made by the Malta Company, shall upon a distribution of dividends, entitle the shareholders to a tax credit, with the ultimate tax leakage on active trading income being of just 5% (in some cases even less). Trading from a low-tax, fully onshore EU jurisdictions such as Malta and using appropriate tax planning – structuring to mitigate Malta Tax sometimes to levels well below the aforesaid 5% is a far superior strategy nowadays than trading through an offshore company registered in a tax haven. For a full list of a activities and extensive information and facts about the Malta Holding Company Regime please follow this link. Apart from the generic features of the tax system, the DTT Network and the adoption of EU Directives, other important features of the tax system beneficial to Malta Group Finance Companies are applicable. Follow this link to view all important features of the tax system beneficial to Malta Group Finance Company as well as the Group Tax Relief. For extensive information about Malta Royalty Routing Structures please follow this link. Malta has won ever increasing recognition and increased its clout as a financial centre with its sophisticated regulatory framework. Today, financial services account from approximately 12% of the island’s Gross Domestic Product (expected to increase two-fold by 2025) with over 7,000 persons employed in the industry. The main driving force however, has been the enactment of sophisticated and flexible legislation. One such measures is the re-domicliation of companies in and from Malta is permissible even for licensed entities, minimising costs and circumventing the need to liquidate these entities. Other examples include the use of Incorporated Cell Companies, Protected Cell Companies and the use of Unit Trusts and Contractual Funds as Collective Investment Schemes. The banking sector has proven its resilience by weathering the international recession through solid fundamentals and sound systems. The World Economic Forum’s Competitiveness Index 2009-2010 has ranked Malta’s Banking System as the 13th soundest in the world. In a similar vein, the City of London’s Global Financial Centres Index, has ranked Malta fourth out of 66 jurisdictions as a centre “that is most likely to increase in importance over the next few years“, behind only Dubai, Shanghai and Singapore. More impressively as of 2011, rating agency Moody’s has re-confirmed Malta’s A1 rating. The Funds industry has registered steady growth and as of 2010, over 400 funds, mostly Professional Investor Funds have been domiciled in Malta, with a combined net asset value in excess of EUR 7 billion. In the insurance sector, there are over 40 insurance companies, particularly Captive Insurances and protected cell companies, domiciled in Malta. Maximisation of after-tax return on investments is the main goal. Therefore, investment structures which have the least tax leakage are the preferable investment vehicles. A Malta Investment Vehicle can collect income, which can be a charge against high tax income in the investment country. Then, withholding tax is eliminated or reduced under double tax treaties or under EU Directives. The rate of tax in Malta is low, and may with the appropriate tax planning be reduced to 0% , in most cases relating to investments if foreign dividends are exempt and capital gains are subject to conditions. The income can then be repatriated in any form the investor (use of income conversion or transformation methods) wishes and to any jurisdiction without withholding tax. There are no investment activities which are inappropriate for the Malta Tax Environment. However, there are investment activities which are indeed ideally suited to the Malta Tax Environment such as the ones explained in this section (among others are Holding Companies, Group Finance Companies, Royalty Companies, Head Office operations for South Europe, Middle East, Northern Africa and Central and Eastern Europe). A Malta Company can own equipment and lease it to a high-tax country entity (HTCE). Such an arrangement allows the HTCE entity to take advantage on the leasing payments. The equipment may come into the ownership of the Malta Company under a sale and lease back agreement with the HTCE entity. A HTCE can sell its already depreciated assets to a Malta Company. The Malta Company is entitled to capital allowances on these newly acquired assets and will charge a leasing fee to the original owner. Such an arrangement will reduce the taxable profit in the country of the original owner. With companies facing increasingly expensive and more difficult insurance cover, many industry players have resorted to captive insurance to manage risks inherent in their business or subsidiaries and finance retained losses in a formal structure. Malta has established itself as a front-runner in captive insurance business (referred to as “Captives”) through the establishment of a robust regulatory framework that combines tax efficiency with controlled foreign company legislation requirements and a comparatively low cost base in the EU. The regulatory body is the Malta Financial Service Authority (MFSA), which is responsible for the licensing, regulation and supervision of insurance companies and intermediaries. Insurance Business in Malta is regulated under the Insurance Business Act, which provides for the authorisation and supervision of insurance companies and the MFSA is the competent authority for the purposes of the Act. For more extensive information, facts, requirements and benefits of Malta Captive and General Insurance please follow this link. Malta has proven itself as a well-established, efficient and reputable i-gaming centre and has asserted its role as a front-runner to the i-gaming industry by becoming the first E.U. member state to regulate remote gaming. The flexibility and thoroughness of the Remote Gaming Regulations (L.N 176 of 2004) combined with an attractive fiscal treatment applicable to Maltese licence holders means that to date, there are over 350 licensed gaming companies currently operating in Malta, including some of the most prestigious names in the industry. Some of the abovementioned major betting companies have located their business in Malta, with some operators opening fully-fledged support and call centres employing hundreds of employees. This translates to a skilled, specialised workforce, excellent infrastructure and competing collocation companies and has been conducive in attracting some of the top names in the business.  The management of remote gaming in and from Malta is a licensable activity. However, by virtue of Legal Notice 90 of 2011, it is possible for any person who is licensed by any Authority or authorisation issued by the government or competent authority of an EEA member State, or any other jurisdiction approved by the Authority to manage remote gaming in and from Malta. Our in-house gaming unit has a proven track-record in advising and assisting clients in all aspects of remote gaming, from application for a licence to post-licensing compliance. We pride ourselves in providing a one-stop shop solution, bespoke to clients’ needs, in the most timely and efficient manner. There are a growing number of companies, which choose to host their e-commerce site or venture in Malta, in order to take advantage of its beneficial tax regime, excellent telecommunications infrastructure and intellectual property protection laws. Electronic commerce business companies may not only operate from Malta with minimum tax burden, but may also take advantage of Malta’s Wide Double Taxation Treaties Network, which may be extremely useful in the context of the internet server as a permanent establishment. Malta is an ideal location for international construction and engineering companies due to the favourable tax treatment afforded to them and the existence of Malta’s Double Tax Treaties. Foreign contractors or engineers may avoid paying tax in a treaty country provided the project does not exceed the duration specified in the respective tax treaty. Such companies can be used very advantageously for property management, especially in conjunction with Malta’s Double Tax Treaties and EU Directives. The structuring of ownership through a Malta Company can reduce capital gains, transfer or stamp duties, and inheritance taxes and simplify a variety of other complex high-tax country issues. A Malta Company can own Real Estate property both in Malta and in other countries including the beneficial shareholders’ country of residence. The Malta Company’s beneficial shareholders that own the property can sell their equity participation in the Maltese company instead of the property. The property’s legal ownership has not changed. Where the shareholders of the company are non-resident in Malta and the immovable property is located outside Malta, there is an exemption from stamp duties and transfer duties in Malta. Where the immovable property is located in Malta, the stamp duty payable on a transfer of shares shall be of €5 of every €100 or part thereof of the value of the property, if 75% or more of the assets of the Maltese Company consist of immovable property in Malta. In default, the applicable rate of duty on documents shall be of just €2 per every €100 or part thereof of the value of the property. Malta offers ideal conditions for the location of multinational companies’ regional management and administrative centres throughout the world, with interests in the Middle East, North Africa and Southern Europe. Companies operating in regions where the local banking and administration infrastructure is not reliable can gain significant advantages from outsourcing this function in Malta. Further to the efficient banking system and tax beneficial regime in Malta, there is an abundance of qualified personnel within most of the professional disciplines to support even the most complex operations. The centralised administration and treasury management functions enjoy the advantage of a convenient time zone (Central European Time) ensuring uninterrupted service to global operations. The cost of running such a function from Malta is significantly lower compared to maintaining this in a country with a high cost of living. The administration and treasury management services can be provided by Focus Business Services, should the size of the global operations not justify the setting-up of a fully-fledged office in Malta. Such a set up opens up possibilities for sophisticated transfer-pricing planning to minimise tax and optimise timing for the incidence of costs and profit generation. The use of Employment Companies provides an opportunity to use Malta as a centre in tax planning for individuals. Expatriates working for foreign companies, performing their duties outside Malta, and paid through a Malta Employment Company, would benefit from a tax-free status. Due to the existence of double tax treaties, expatriates on short assignments to various countries are treaty-protected if employed through Malta – they are entitled to tax exemption in Malta. At the same time, because of their short assignment in the other treaty country, they do not become tax resident there either. Malta has a deeply-entrenched maritime tradition. Over the years, Malta’s shipping registry has earned a reputation for efficiency and the Malta Flag, is one of the most widely-recognised merchant shipping flags, establishing itself as a Flag of confidence. Today, Malta is one of the largest maritime nations in terms of registered tonnage worldwide, with a fleet of over 5,000 registered vessels, the 2nd largest in Europe, after Greece. The Merchant Shipping Act (“the Act”), regulates the registration and operation of vessels under the Malta flag, and is based on its English Law counterpart. Under the Act, any type of vessel (including but not limited to oilrigs, platforms, barges etc;) may be registered in the Maltese Shipping Registry and fly the Malta Flag. Furthermore, the Act also allows for bareboat charter registration for foreign ships under the Malta Flag and also for the bareboat charter registration of Maltese ships under a foreign flag. 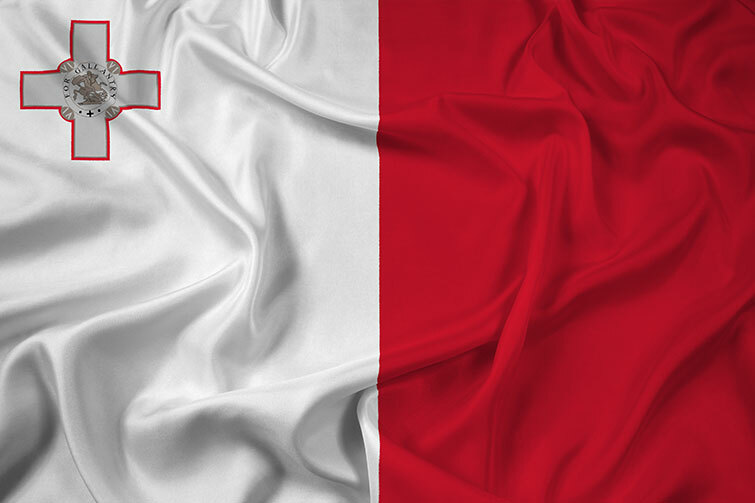 Follow this link to view the complete list of Advantages of the Maltese Flag. The Maltese VAT Department has issued guidelines on the VAT Treatment of yacht leasing applicable to pleasure yachts, which offer a very attractive VAT regime to owners, allowing an effective and low-cost solution for the acquisition of an EU VAT paid certificate. In order to avail oneself of the advantageous VAT rate (described above), a financial leasing agreement (whereby the lessee retains an option to purchase the craft at the end of the lease) would be entered into between the Maltese Company (the lessor) and the lessee. The Maltese Company must be the owner of the craft (either bought directly from the owner or if craft is new, directly from yacht-builder). The Maltese Company shall lease the craft to a lessee (no nationality restrictions, and the lessee can be a physical or legal person). For more extensive information of Malta Yacht Schemes, guidance on the Registration Process and useful tools like VAT Calculator for Sailing and Motor Yachts / Boats please follow this link. Maltese Company Law places no restriction on the nationality of shareholders, effectively meaning that individuals of any nationality (whether EU or otherwise) may subscribe for shares in a Maltese company, free to pursue any trading activity. Furthermore, the minimum share capital requirements for a Maltese private company are set at just EUR 1165, or any equivalent amount in any other currency, of which only 20% needs to be fully paid up. This low threshold makes it accessible to many individuals. Although the Companies Act prescribes that a private limited liability company has at least two shareholders, it is possible to have a single member company, provided that the main trading activity of the Company is specified in the Memorandum and Articles of Association of the Company. Entrepreneurs and professionals, who start off with a Malta Structure can receive strategic benefits. The use of Malta Entities offers entrepreneurs enhanced investment returns, access to global markets, better after-tax profits, and improved risk mitigation. A Malta Entity can own corporate assets without exposing the entrepreneur’s personal assets – this also reduces business risk. Executives can use Malta Entities for various aspects of their corporate agendas. This can also help them restructure their compensation and stock programs, so as to take advantage of reduced tax, asset protection, and access to global markets. Entertainers are taxable in Malta at 10% of gross payments on performances which exceed 15 days a year in Malta. It would be therefore beneficial for entertainers, who exceed the aforesaid threshold of performances a year, to incorporate a Maltese company and benefit from lower rates of taxation (ultimate tax leakage of 5% or less). Furthermore, entertainers may make use of a Malta Entity, to enter into contractual obligations performed by themselves. The Malta Entity earns income, and the entertainer, author or athlete is compensated for services rendered to that company, thereby mitigating their personal tax liability. Individuals who inherit wealth can use a Maltese Entity to reduce their inheritance taxes by converting the inheritance into money in low or non-tax jurisdictions, instead of high-tax jurisdictions. Gains of a capital nature are not taxable in Malta, so any inheritance remitted to Malta, shall insofar that it does not constitute a gain of an income nature, not be taxable in Malta. Individuals can also restructure the income that their inherited portfolio generates so as to protect their assets and the income compounds to be tax-free. As a rule of thumb, immovable property is regulated by the lex situs, so any immovable property owned by the testator shall be regulated by Maltese Law. Whilst the devolution of immovable property in Malta, even by succession, may give rise to duty on documents tax, there are no inheritances taxes in Malta, and most assets devolved by way of inheritance, may be exempt from tax. (ii) EU VAT Registration and verifiability of company details on the EU VIES system are widely considered as a criterion of added commercial credibility.